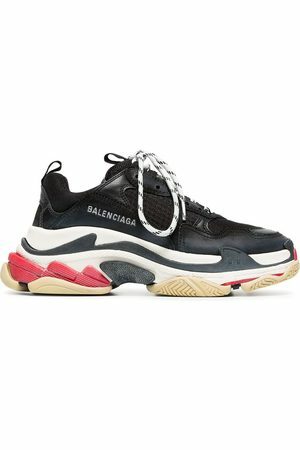 Balenciaga continues to create directional footwear season after season that subverts classical structure resulting in innovative footwear lasts. These black Speed sneakers are athletic yet sleek with a ribbed knitted sock style construction. Featuring a slip-on style, a sport sock style, an almond toe, a printed Balenciaga logo and a white rubber sole.